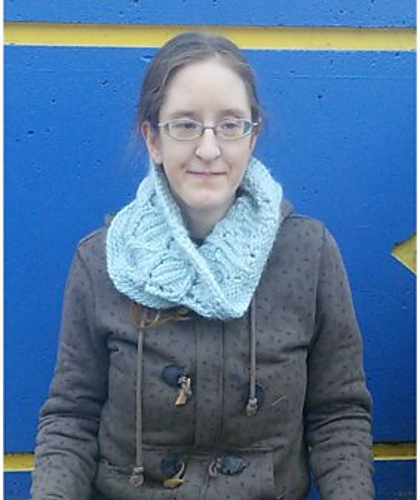 Sarah Dawn's Designs: Pattern Release -- Snowdrop Lace Cowl! 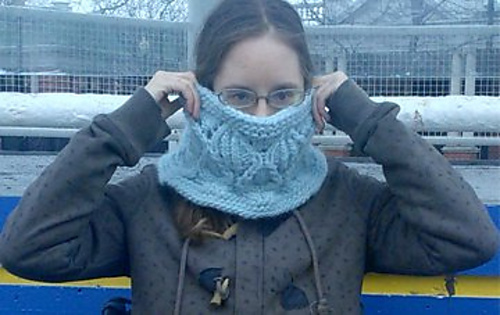 So I'm quite pleased to present the release of a new pattern -- the Snowdrop Lace Cowl! This cowl was originally created as part of the Initiate Knit Design Challenge, hosted by Francoise Danoy of Aroha Knits. The goal of the challenge was to help people get their design ideas off the ground, and this super-bulky lace and cable cowl was the result! The cowl is worked in the round, with garter stitch edging and the Snowdrop Cable and Lace Pattern forming the body of the cowl. The yarn used in the pattern is Blue Sky Fibers Bulky, which is 50% alpaca, 50% wool. It is classified as a super-bulky, so for substitution purposes, you’ll want to double most yarns if you want to knit this in anything below a bulky-weight. Also, if you’re substituting yarns, I’d suggest a yarn with at least 50% wool content. To purchase, you can visit the Ravelry Download Page or my Etsy Shop Listing. I hope you enjoy, and I'd love to see your FOs!